A whole world waits for us outside our door… including this waterfall in Milford Sound, New Zealand. Wandering can take many forms. 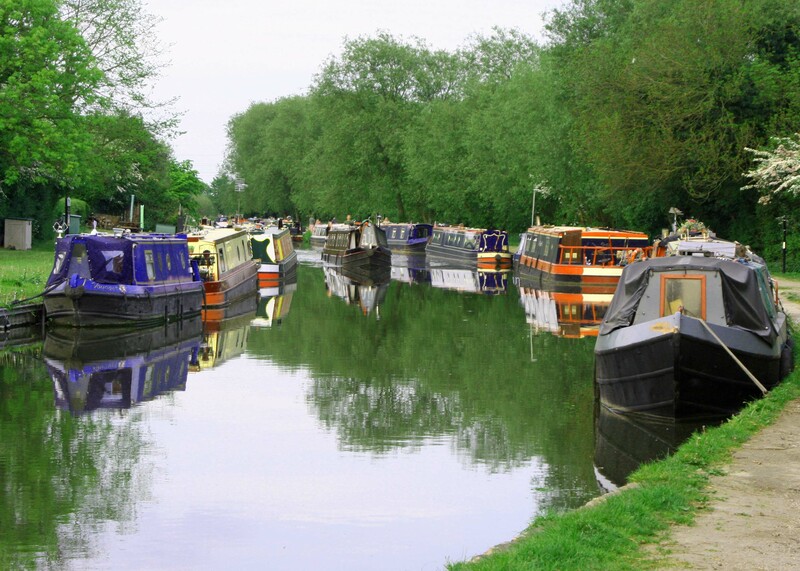 Two summers ago Peggy and I, along with Peggy’s sister Jane and husband Jim, spent a week maneuvering a 60 foot long Narrow Boat through the Trent and Mersey Canal in England. It was challenging at first, but we quickly adjusted to the beauty and peace of the trip, not to mention the great English pubs. 1. Life is an adventure. There is a big world out there to explore. Seeing it on TV or in the movies is one thing. Getting out and experiencing it is totally different. You can watch a TV special about a person walking down a jungle trail and seeing a python in a tree, or, you can walk down a jungle trail and see the python yourself. The first experience you will forget tomorrow; the second you will remember for a lifetime. Or close to home. We all have places nearby where we can escape to for a day or a week. This is on the Oregon Coast three hours away from where I live. 2. We all need to escape on occasion. Life can be hectic. We get lost in our day-to-day existence. Traveling breaks the chain. It recharges our batteries. Even planning a trip eases the tedium by giving us something to dream about. As a 22-year old, I spent two years in West Africa as a Peace Corps Volunteer. The experience had a significant impact on my life and taught me to appreciate what other cultures have to offer. 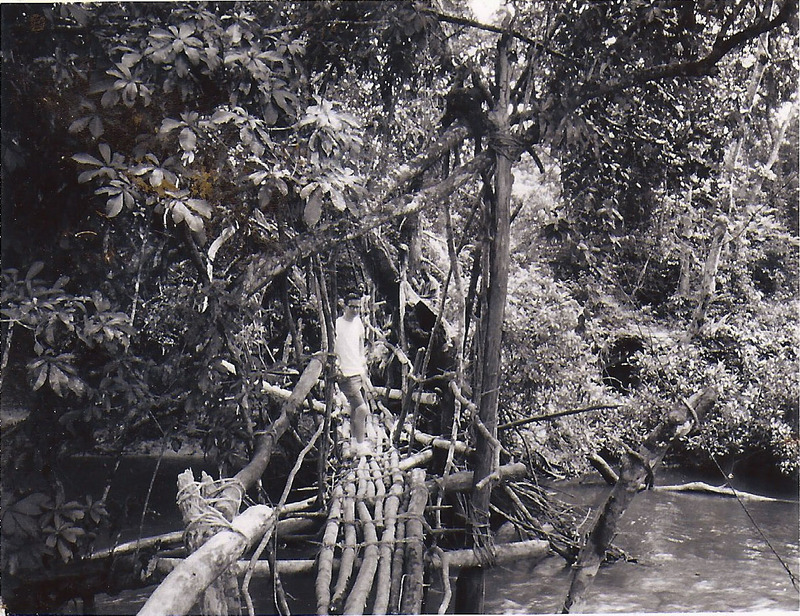 Here I am admiring a Kpelle bridge. 3. Travel challenges and changes our understanding of the world. 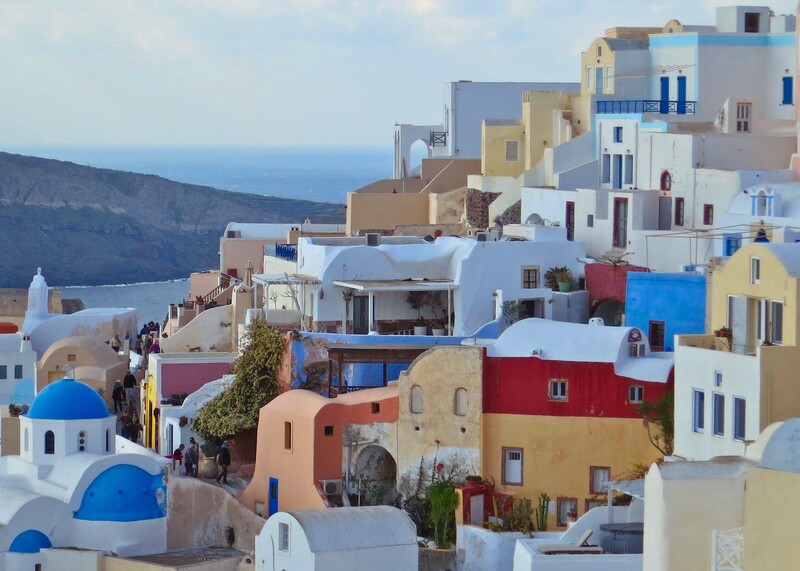 Not only do we learn about other places and other cultures, we learn more about our own. When I returned from serving for two years as a Peace Corps Volunteer in Africa, I realized that even my father had a slightly different culture than mine. He had been raised in a different time, had different experiences, and even had different beliefs. There was much I could learn from him, just as I did from the Kpelle people of Liberia. 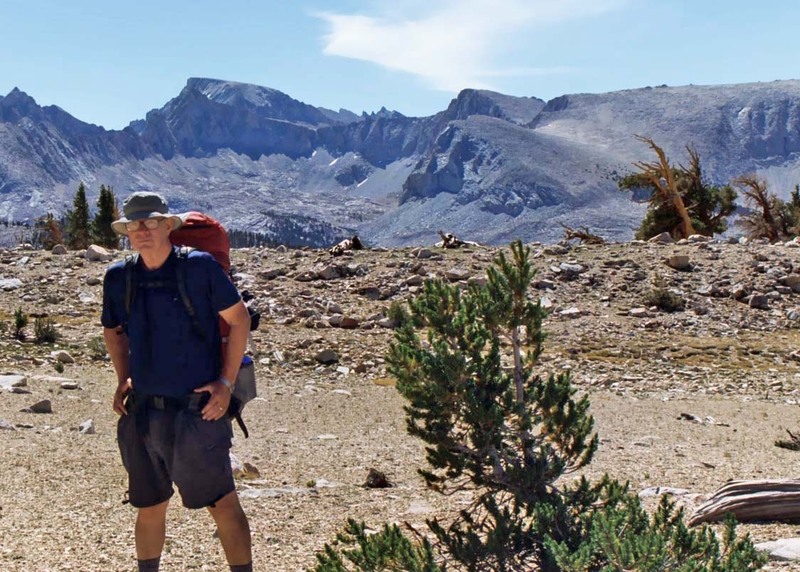 To celebrate my 60th Birthday, I chose to backpack 360 miles from Lake Tahoe to Mt. Whitney in California. Whitney is behind me in the photo. People who had been backpacking with me for over 30 years joined me along the route. The perspective from the top of the 14,505 foot (4,421 meters) Mt. 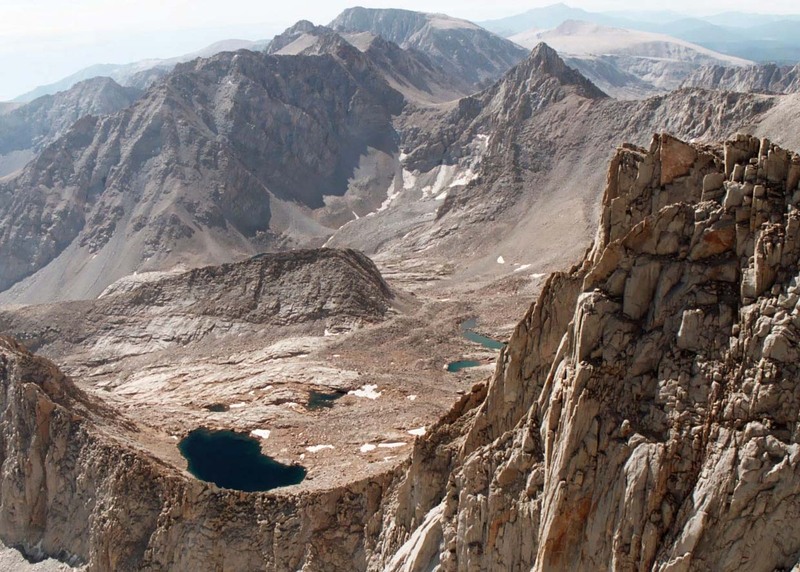 Whitney, the highest peak in the contiguous United States. I have taken many people to the top of this magnificent mountain including my wife, Peggy, son, Tony, and my nephew Jay, who was 16 at the time. 4. Travel can also change how we view ourselves and how we perceive the world around us. For 20 years of my life, I took people on hundred mile backpack trips. Few of these people had ever backpacked 100 miles and some had never backpacked at all. The sheer physical challenge of hiking up and over mountains for nine days while dealing with weather, insects and wildlife created an adventure they would never forget. For many, it was a life-altering event. It changed their perspective of who they were and what they could accomplish. Any journey can change how you view yourself and the world… but you have to be open to learn from the experience. 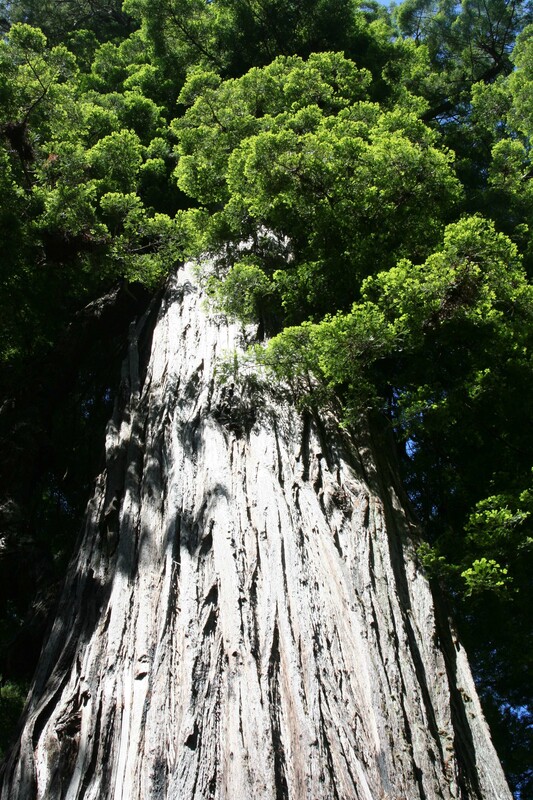 A towering Redwood on the north coast of California. 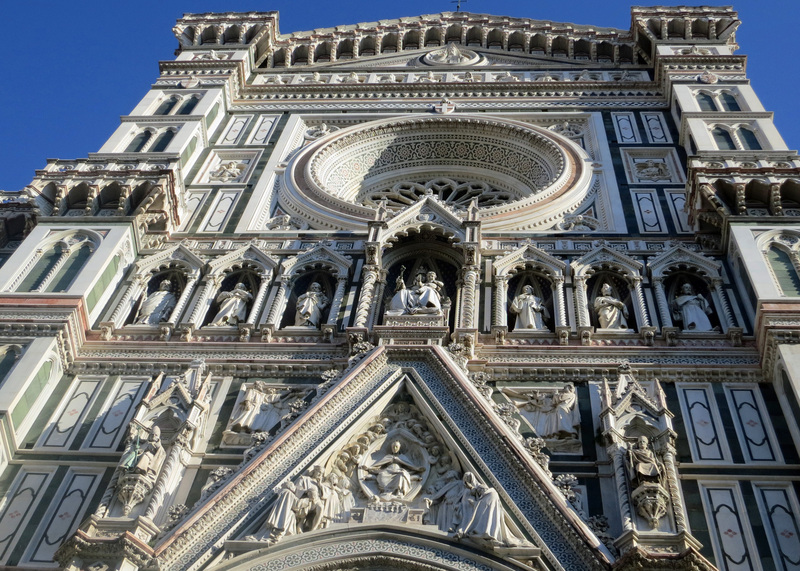 A towering cathedral in Florence, Italy. 5. Great beauty exists in the world. Whether it is a towering redwood on the northern coast of California or a towering cathedral in Florence, beauty is found wherever you wander. 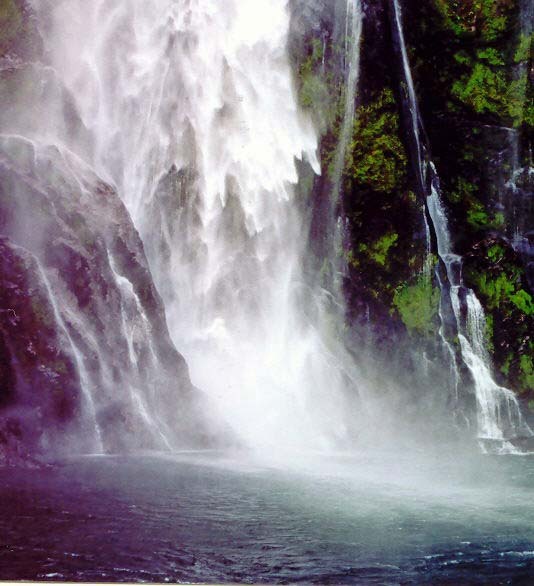 It can be as small as a raindrop on a flower, or as large as a waterfall cascading into Milford Sound, New Zealand. One doesn’t have to travel thousands of miles to find this beauty, however. It waits outside your door. Be like Bilbo Baggins: grab your pack and go charging after Gandalf. Treasures beyond your imagination await you. There are always delightful surprises waiting for us when we wander. 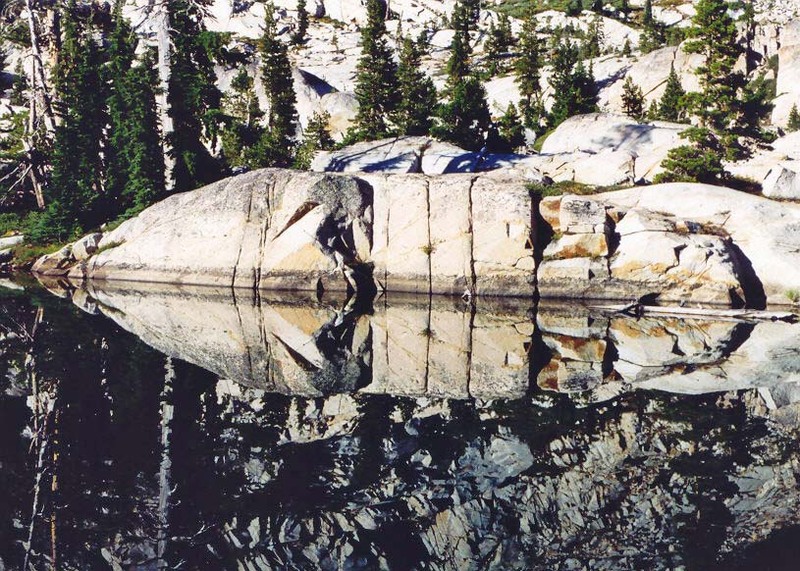 I took this photo of Four Q Lakes in the Desolation Wilderness near Lake Tahoe for its reflection. Only after the photo was processed did I see the mask. I have spent 70 years traveling the road “less travelled by.” And I shall continue. No regrets. This is such a delightful and true entry. There’s so much here that I agree with, and some wonderful quotations to help with the refocusing process when terminal “stuckness” seems to be setting in. So I’ve been thinking more and more about going bcnapakkicg across some country or continent, but what differs travelling to going on a vacation? 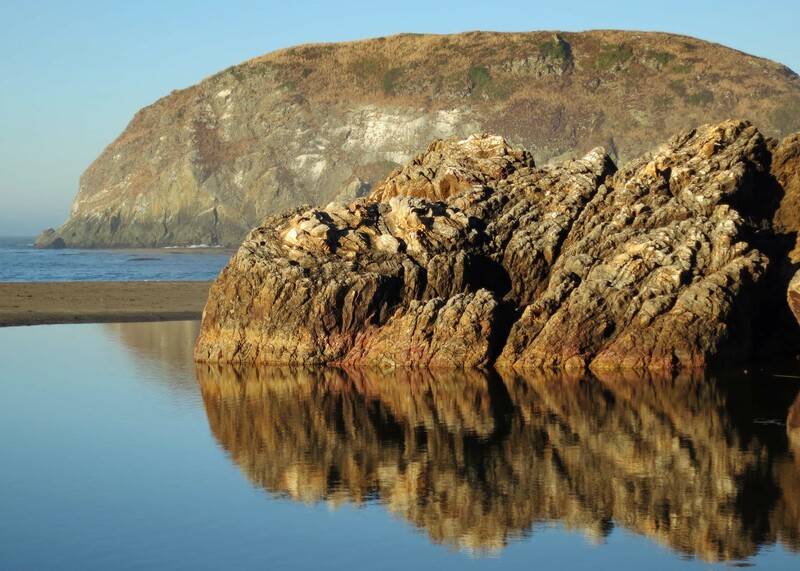 What differs sightseeing to exploring? I don’t mean anything deep, I just mean, to begin, should I take a one way ticket and travel across a continent to the other side or is there any other methods to go bcnapakkicg? What is a typical outing to another country for a backpacker? Any experiences or ideas? Wonderful Life!!! I found your terrific blog while doing research as I will soon hit the road with my best friend Lucy, a Great Pyrenees, in an immaculate little Pleasure Way Excel RD that I am in the process of buying. My time is mine due to severe chronic pain and I figure I will be in pain whether I am on the couch or on the road… I prefer the road. I will paint the landscape as we go North to touch the Arctic Ocean, as far South as possible and East too… Can’t go much further West from Victoria BC… well, unless we cross the Pacific Ocean, and we may just do that at some point! Perhaps we will meet some day on the road somewhere! Thanks for the inspiration! Best of luck in your travels, Isabelle. It is a wonderful life. There are so many great places to see out there and Peggy and I love our Pleasure Way. This is our second one. –Curt Peggy also has a site: travelswithquivera. Was it hard to only write about 5? I loved the quotes that you interspersed throughout this post! Makes me want to plan my next vacation now!!! Breathtaking shots, C. I love how all the wisdom you gained in the Corps helped you really see your father in the context of his own history and story. Beautiful, instructive post. Everything you said is right on, C. I realized a long time ago it was weird and interesting – and necessary – to realize my parents were people! My mother died early, as you may remember. But I was ever so lucky that my dad lived long enough so I could come to know, and appreciate, him. I can not imagine a life not exploring the planet. Well said post! Went to your blog JoHanna and read your story on Jerome. I love the way the town is perched up on the side of the mountain, ready to slide off. (Like the jail did:)) I was in Sedona around this time last year and made a trip up top the town. Happy you enjoyed . Thank you so much for choosing to follow. Travel is truly the most valuable education, so many lessons that can be learned in the process. Wow, we’re impressed! You must be a very proud father. Enjoy the Highway 1. I was there many many years ago and enjoyed immensly. Amazing! And so interesting. Does Tony still live in Alaska? I love it when you say be like Bilbo Baggins. It just completed the article for me, so pure and serene. Loved your enthusiasm on travel and how you are inspiring others to travel too. Beautiful work Curt. Keep it up. Have an adventurous 2017. Sharing this on twitter & FB. Just reread this and enjoyed it so much! Looking forward to reading about your 1000 mile trek! My hat. Your wife and You know how to enjoy the life! I am so happy for You. I also read Your Bios and About this blog – awesome! In the spring, I will celebrate my 75. Life continues and adventures also – I hope.